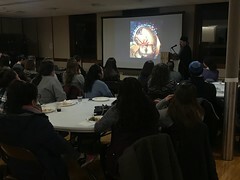 Arvelle Adamson from Starlight Ministries offered an Info Session to St. Mary's on the work of Starlight Ministries on Saturday, April 6, 2019. 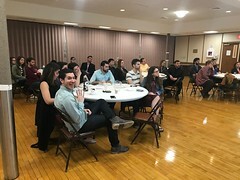 On Sunday, March 31, Bishop John invited young adults from across the diocese to a dinner and discussion with Bishop Anthony. 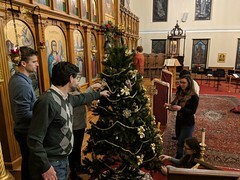 On Dec 1, 2018, the Young Adults decorated the parish in preparation for Christmas and enjoyed a night of worship, fellowship, and crafts. 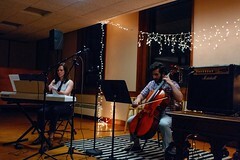 The Fall 2018 Evening Coffeehouse Featuring Local Musicians and Artists was held on Saturday, November 3, 2018. On September 9, 2018, St. Mary's Young Adult Ministry and Hospitality Group hosted the Annual Welcome Back Event with a cookout in the church parking lot with games, delicious food, and fellowship. 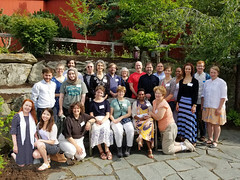 We celebrated the end of the 2017-2018 Sunday School year with a parish cookout during coffee hour! 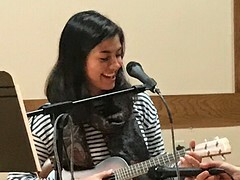 Coffeehouse featuring local performing artists from our community and neighboring parishes sponsored by the Young Adult Ministry. 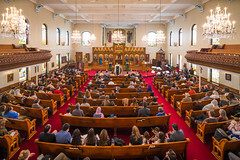 Holy Week at St. Mary Orthodox Church in Cambridge, MA. 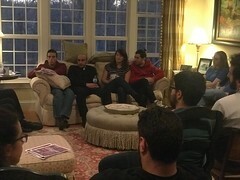 Photos courtesy of Doug Shoop and Jamil Samara.